Checkpoint guidelines to remember as election period begins. Expect to see more police checkpoints at so-called strategic chokepoints with the start of the election period, which officially kicked off on January 13. This also signals the start of a nationwide gun ban, which ends on June 12. Director Guillermo Eleazar, chief of the National Capital Region Police Office, said over a radio interview that police personnel have been issued strict guidelines to prevent abuse in manning checkpoints. 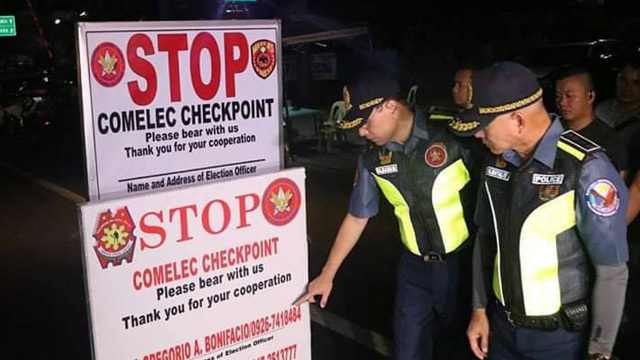 Eleazar stressed that all checkpoints must be situated in well-lit areas, with signage identifying the police unit manning a checkpoint as well as the name and contact number of the election supervisor in the area. It's also possible that military personnel will accompany policemen in the conduct of the security routine. The police are required to be in complete uniform with the corresponding nameplate not being covered by a jacket. The uniformed policemen are under strict instructions to be courteous to motorists at all times. When a motorist sees a checkpoint up ahead, slow down the vehicle before coming to a complete stop. At nighttime, dim the headlights as the vehicle approaches the checkpoint. Turn on the cabin lights, especially when the vehicle's windows are tinted. Roll down the windows as the police start checking the occupants of the vehicle. The occupants are not obliged to alight from the vehicle. 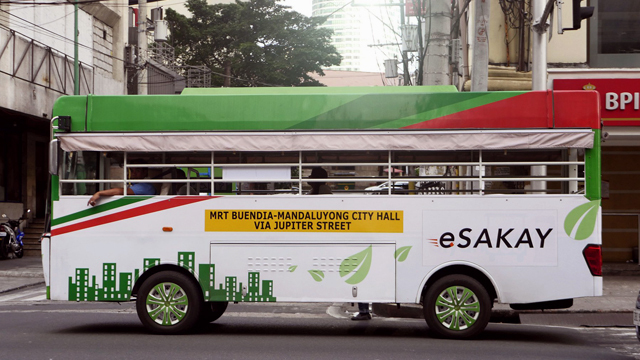 Passengers of public-utility vehicles like jeepneys and buses cannot be forced by police authorities to alight from the vehicle. Police are only allowed to point their flashlights at the car floor and the door panels during the inspection, and never directly at the faces of passengers. However, Eleazar made it clear that police personnel can do away with these checkpoint guidelines in the event the Philippine National Police receives reliable information that the occupant of the vehicle had committed a crime. Here's another important reminder: The police are on the lookout not only for firearms but also for other types of deadly weapons and toy gun replicas. And in case the vehicle does not stop at the checkpoint as ordered, the police will surely put up a good chase. For riders, nothing has changed. Always be ready with your license and bike registration papers because we all know that motorcycles are often the most convenient getaway vehicles of criminals. Checkpoints are also not confined to Metro Manila—they will be implemented in other places as well during the election period. For complaints, motorists may call Philippine National Police (PNP) hotlines at 0915-888-8181 (Globe) and 0999-901-8181 (Smart).